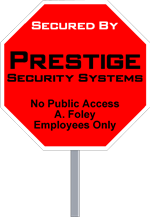 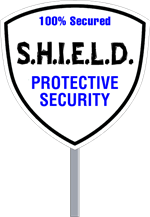 Wholesale security signs. 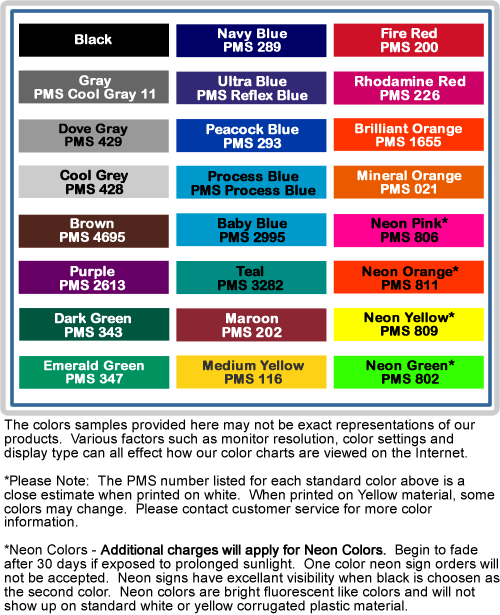 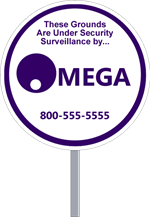 Now you can offer your customers some inexpensive securtiy signs. 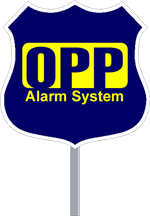 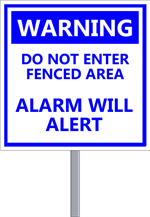 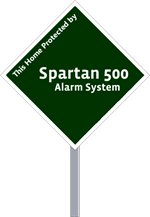 These signs are used by Alarm Companies, Security Services, to mark buried utilities, lawn care companies, crime prevention programs, and cable companies. 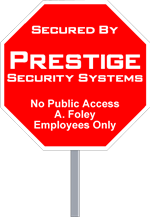 Many uses for plastic security signs. 36" Aluminum Sign Stake with double sided tape and cap sold separately.